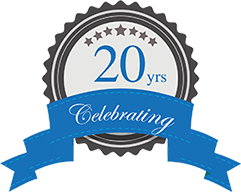 Arizona child custody attorney Ronald V. Thomas has been representing clients in custody cases for almost two decades. Child Custody disputes are common in Arizona. However, there is a common misconception regarding the term “custody” and how it is applied in Arizona. In some other states around the country, the term custody can refer to the actual time that each parent spends with the child. However, under Arizona law, the term custody (formally referred to as legal decision-making authority) refers to the power to make decisions regarding the child’s best interest in major areas such as education, health, religion, etc. If a person has obtain an Arizona court order granting them sole custody, which is sometimes referred to as full custody in other states, generally they need not consult with the other parent before making major decisions affecting the child’s best interest in the areas referred to above. That is, the custodial parent gets to call the shots when making big decisions. If, however, the Arizona court order states that both parents have joint custody, the parents are required to communicate with each other before making major decisions about the child’s best interests in the areas referred to above. Most judges in Arizona presumably would prefer to award the parents joint custody. However, there are some Arizona statutory factors that may inhibit the chances of being awarded joint custody. One such example is a DUI conviction. Another is a domestic violence conviction. However, for the most part the Arizona judge will look at a wide variety of factors to determine whether joint or sole custody should be awarded in that particular case. Most commonly, a major issue is going to be whether the parents can cooperate with each other when it comes to making such major decisions as those referred to above. If the parents constantly argue and rarely agree on anything, awarding them joint custody typically is going to be counterproductive, unless the judge feels that their argumentativeness is likely related to their previous romantic relationship with each other and will subside quickly after they recover from the breakup of their relationship. Even when parents are having trouble reaching agreements, there are things Arizona judges can do to encourage the parents to cooperate before taking joint custody away from one of the parents. For example, the Arizona judge can require the parties to use the services of a parenting coordinator, who is sort of a liaison between the parents who can mediate disputes and make recommendations to the court when the parents reach a stalemate that can’t be resolved by mediation. As noted above, Arizona custody attorney Ronald V. Thomas has been handling custody matters for almost two decades, and enjoys seeing his clients rejoice when their case is successfully resolved. 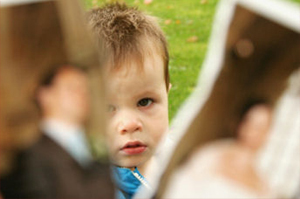 Your child custody rights are important and should be fully protected in court. Sometimes the successful resolution of your case is by a settlement agreement. Other times the successful resolution is achieved only after a long and brutal Arizona custody battle. Furthermore, Mr. Thomas does limit himself to just representing mothers or fathers, so whether you are a female or a male you are going to receive the same dedicated, experienced, effective representation. Whether you are seeking full custody, shared custody, temporary custody, child custody advice, Arizona custody lawyer Ronald V. Thomas is ready to be your advocate. Responsible Arizona parents are entitled to a quality relationship and ample time with their child, and Mr. Thomas will do everything in his legal power to get you the result you deserve. Winning child custody is not something you want to try on your own; visit Mr. Thomas right away to discuss the ins and outs of getting custody of your Arizona child.